In affectionate remembrance of our beloved brother. Finlay Ross died at Cruives Shebster 23rd December 1963 aged 63. 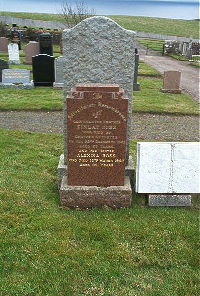 Sister Alexina Ross died 13th March 1997 aged 92.